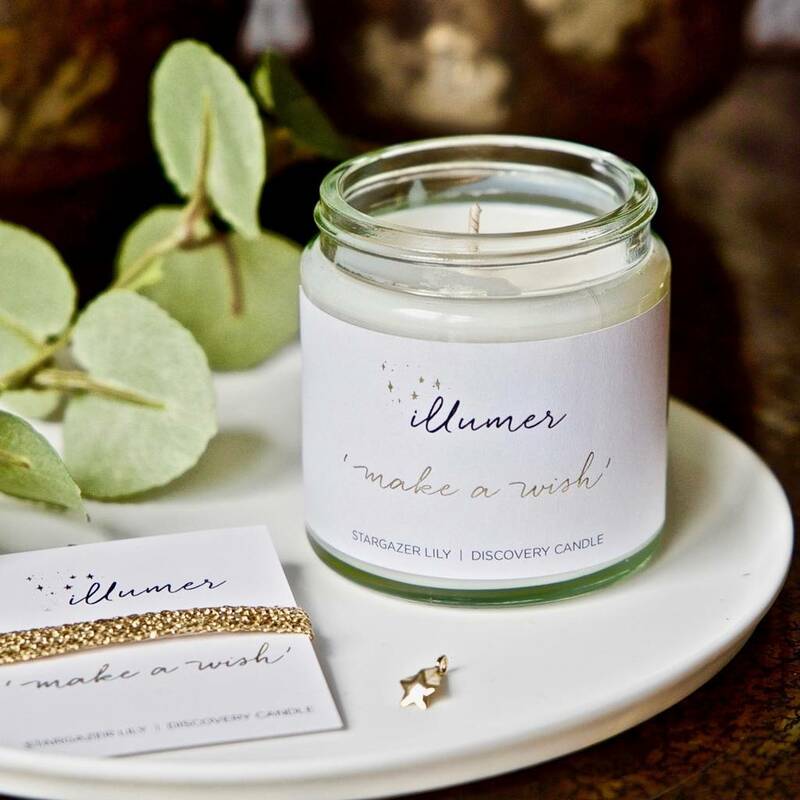 at the base of your candle lies a gold shooting star charm just waiting to be discovered. 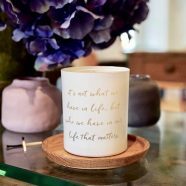 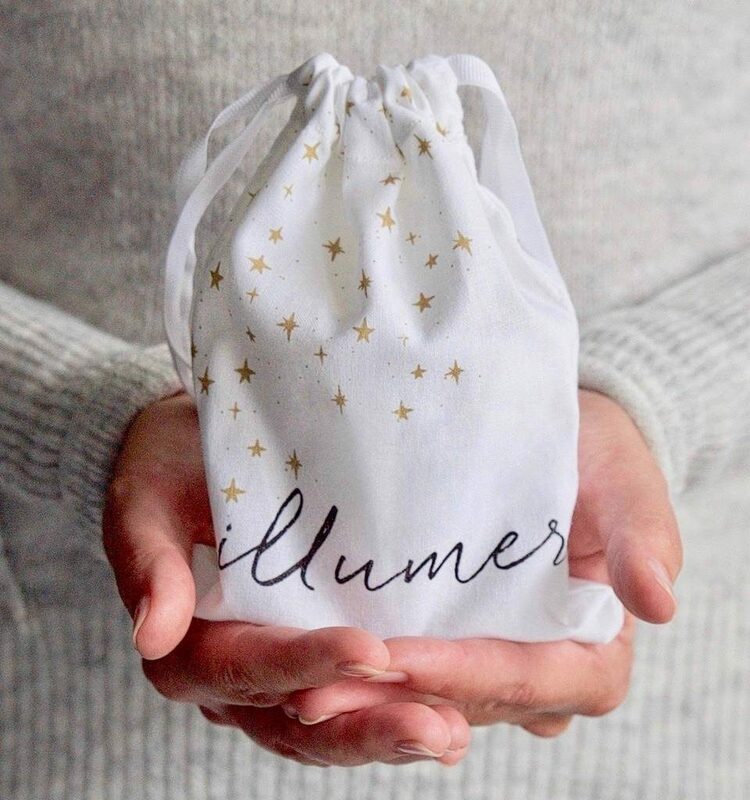 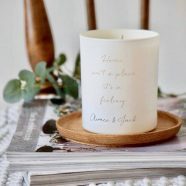 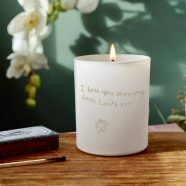 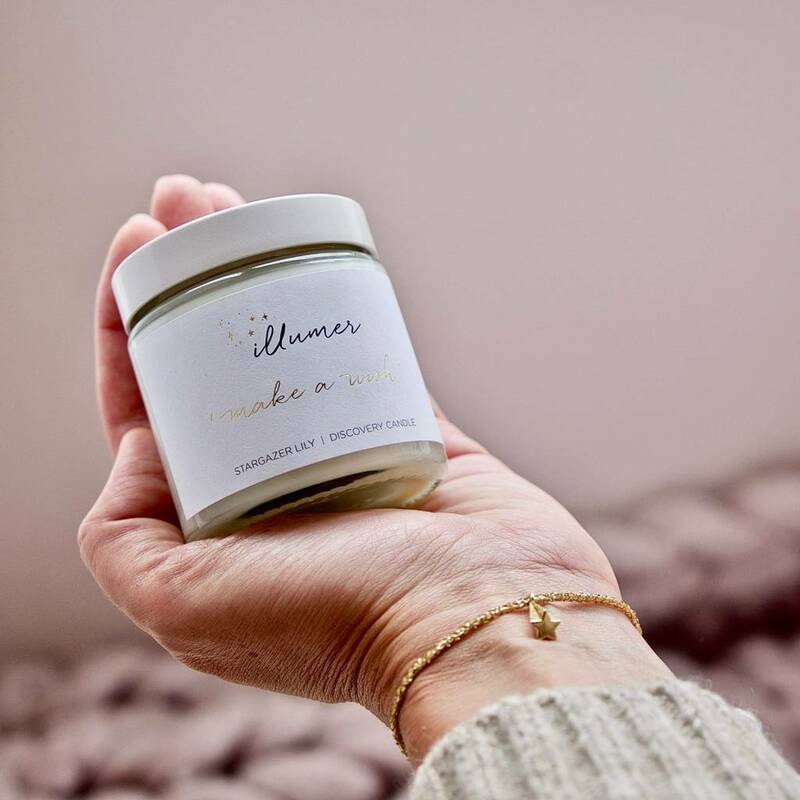 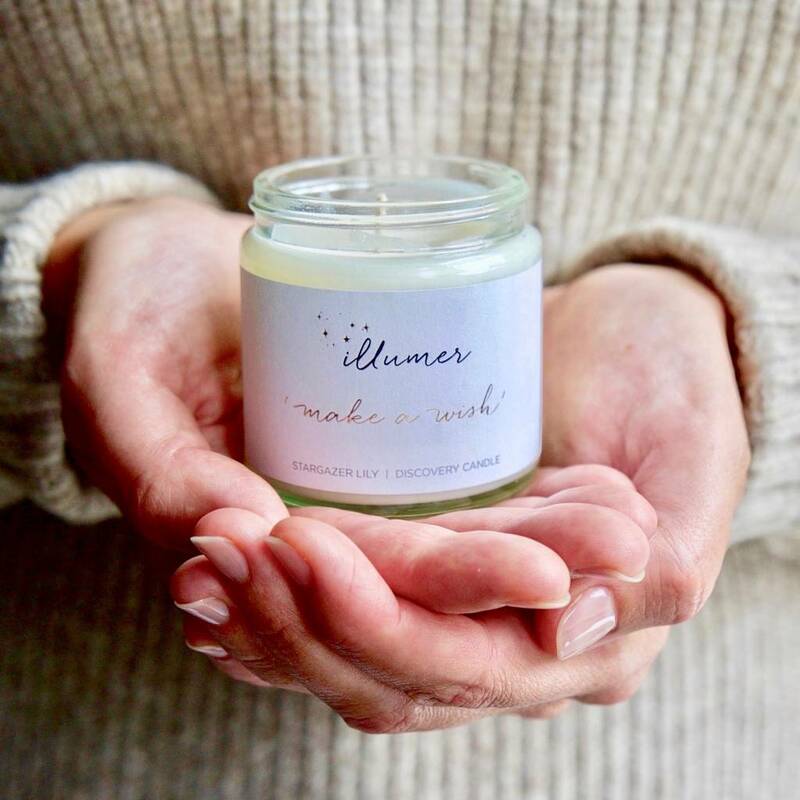 A wonderful, hand poured soy candle beautifully scented with Stargazer Lily fragrance and presented in one of our magical, starry, drawstring pouches. 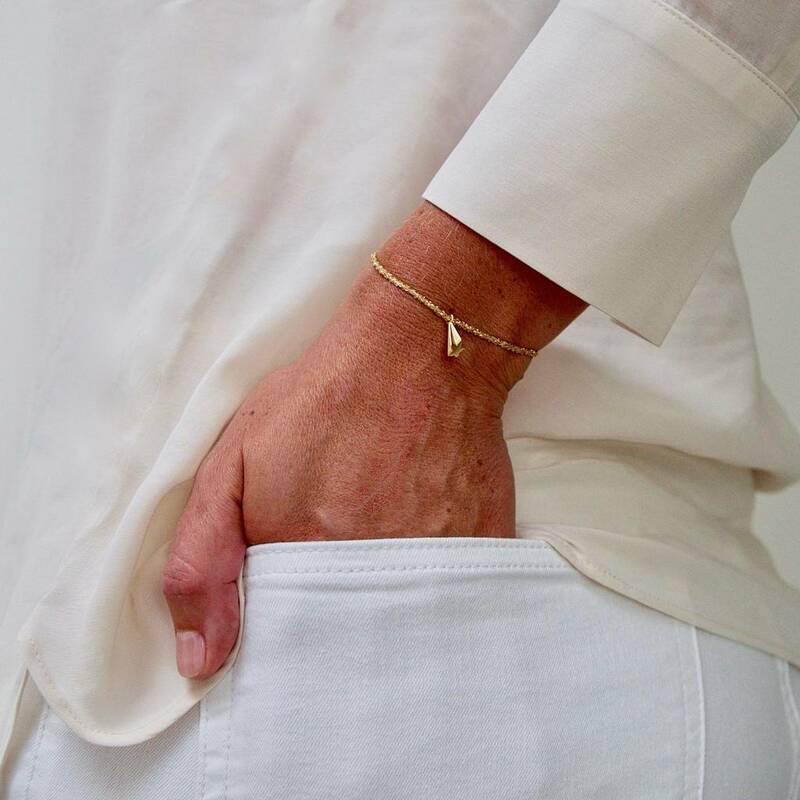 When your charm is revealed use the thread to tie the charm onto your wrist, close your eyes and make a wish. 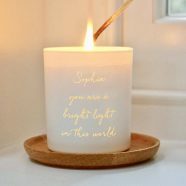 Makes a special and thoughtful birthday gift. Glitter thread is included so your charm may be worn as a bracelet once discovered. 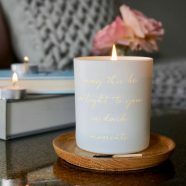 Glass jar, 100% soy wax for a longer and cleaner burn.